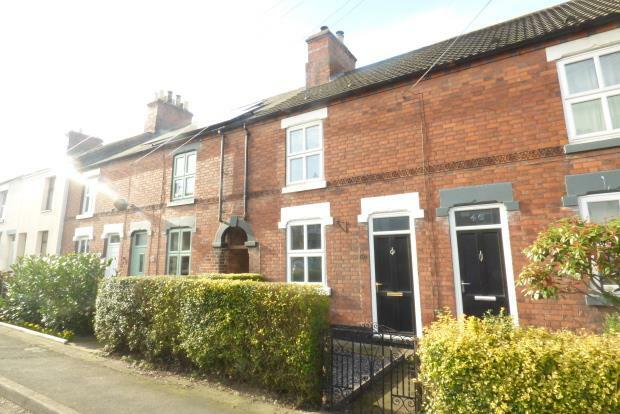 2 Bedroom End of Terrace House To Rent in Swadlincote for £595 per Calendar Month. This traditional 2 bedroom terrace property is based in the village of Donnisthorpe. This property is surround by idyllic countryside for those who like outdoor living or for those who like something a little livelier a short 10 minute drive away from the popular market town of Ashby-de-la-zouch. Downstairs are 2 good sized reception room both with feature fireplaces. The kitchen has a range of units and work surface, a cooker with hob and an under counter fridge. The kitchen leads through to a utility area where there is space for a washing machine and tumble drier. Upstairs are 2 double bedrooms and a stunning bathroom. The bathroom has a roll top bath, separate shower cubicle, sink and a WC. Outside, the property has a small garden area to the front giving access to the property and a side ally leading to the rear. At the rear there is off road parking for 2 cars and a garage. The garden is low maintenance being mostly lawn. This home is a must view to appreciate the coziness and charm. Please note this property does not accept pets, HB or smokers.